Quotex is an International Trading Company based in the UK. They have had continuous growth year on year since formation in 2007. They are now an ISO 9001 company that is established within manufacturing and importing. They have built a solid infrastructure to enable us to provide a high level of service to our customers. 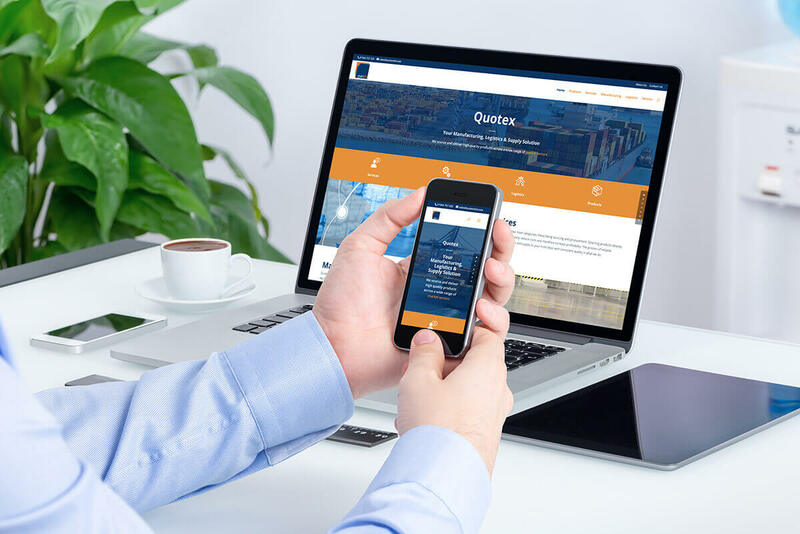 Quotex Ltd needed a big refresh of their outdated, non-responsive website. They were also struggling to keep their old one updated. As specialists in beautiful responsive, content managed websites we felt eager to take on this project. We reviewed the structure of the site with the end users experience a priority. Each page was brought to life with big and bold imagery to accompany the simplified text. We started to build a dynamic & bright website that is much easier to navigate. We created the site with possibility for the client to add additional products into a filterable gallery.